It’s more than what defines us here in Gaylord. It’s a call-to-action— an invitation to get out here! 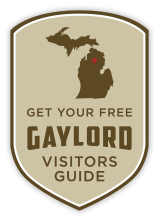 Our geographically-gifted position smack dab in the center of Michigan’s northern Lower Peninsula offers the state’s best base camp for any outdoor pursuit. 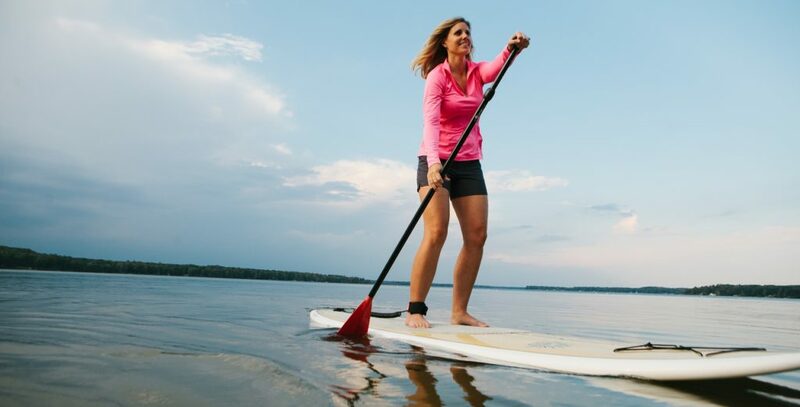 With easy access to trail networks, river systems, inland lakes, parks, ski resorts and vast expanses of wilderness, Gaylord is alive with adventure! 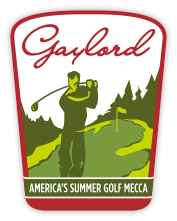 If you prefer a more manicured outdoor experience, we are also known as America’s Summer Golf Mecca. With 15 championship-caliber courses designed by golf’s greatest, you can swing into something spectacular—golf, resort lodging and unique dining— all within an hour’s drive. Our impressive winter season brings a fresh flurry of activity to our community. With more than 180 snowbelt-centered inches of the white stuff each year, we are sweetly situated for epic snowmobiling, cross country and downhill skiing, snowshoeing, ice fishing and even fat tire biking. Come as you are. Stay as long as you like. You will have no trouble finding your adventure in our “all outdoor” paradise!